MORE OF THE SAME OR FALSE DAWN? 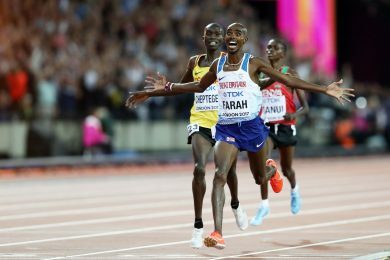 London 2017, which is to say the IAAF World Championships could hardly have begun better for the locals, with Mo Farah winning the 10,000 metres as if by divine right on the first evening; and Laura Muir, perhaps the only other British possibility of a substantial medal qualifying easily in the 1500 metres heats. Fantastic Friday, it was not, given that the other gold medal heroes of Super Saturday 2012 at the Olympic Games, had either retired (Jessica Ennis) or got injured (Greg Rutherford). But the 34 year Farah, in his last week of track running before addressing the marathon more than fulfilled his emotional contract with the British public. And for good measure his management stablemate Usain Bolt, retiring from track completely here replicated his favourite game, ie starting appallingly in the 100 metres heats, then grinding up the gears to an ultimately easy victory without looking terrible convincing. For bad measure, his drug-addled nemesis Justin Gatlin looked ominously good. Sir Mo managed to stay ahead of his pursuers yet again, at least on the track. He did not dominate as he had done in the past, surging to the front and slowing the pace to ensure that he could win at ease.  But despite his opponents – east Africans to a man – seeming to collude in trying to beat him, he hung in, with a couple of crowd-pleasing surges mid-race; then strode to the front with less than two laps to run, and did what he done in every major race since 2011, outstayed his rivals to win in 26min 49.51, just three seconds shy of his best, set aeons ago. Joshua Cheptegei of Uganda was second in 26.49.94, and Paul Tanui tird in 26.50.60. Thus Farah won his tenth major title in six years, including four Olympic golds and five world championship titles since being outsprinted for the world 10,000 metres gold in Daegu 2011 by Ibrahim Jeilan of Ethiopia. He is by far the most accomplished long distance runner in British athletics history. And though no one will ever surpass Paavo Nurmi’s nine Olympic golds, and Emil Zàtopek’s treble of 5000/10,000 metres and marathon at a single Olympics in 1952, Farah can lay claim to international equality of status with those gods of the track. But for the blemish of defeat to Jeilan in 2011, he would be going later this week in the 5000 metres for his fourth successive world championships double to go with his Olympic double double. And then he will turn to eradicate memories of the another substantial blemish during his latter-day success, the cavalier attempt to run a successful marathon, in London 2014, when he could do no better than finish eighth in 2.08.21, over a minute outside the UK record of Steve Jones that had been widely suggested to be at his mercy. But first, the 5000 metres. After an equally thunderous greeting by adoring fans in the packed stadium, Usain Bolt duly won his first round heat of the 100 metres in what has become typical fashion, which is to say unconvincingly. Yet that is par for the course. And he will doubtless be operating at a different level in Saturday’s semi and final. In the preceding and penultimate heat, Justin Gatlin was roundly booed again when introduced, demonstrating that British athletics fans neither forgive nor forget. Olympic winner as long ago as Athens 2004, Gatlin was banned for four years following a second failed dope test. And as he decelerated to the line to win relatively easily, he was greeted by further booing, followed immediately by a spate of cheering when those fans concentrating on the start line saw Bolt appear for the final heat. It might have been an advert for the Jekyll and Hyde nature of the sport. Because there was a strange prelude to all this drama. Clearly it had to be done sometime; and better in front of a capacity crowd in the Olympic Stadium than delivery by a courier or a package in the post; or worse still in a sparse stadium on a wet weekend in Wigan. But was it really such a good idea to start the IAAF World Championships 2017 with a series of medal ceremonies rewarding those athletes who had been deprived of their rightful medals in previous Championships by drug-cheats? London 2012 Olympic champion, Jessica Ennis is due to receive her gold medal tomorrow, from the World Championships 2011, since the ‘winner’ Russia’s Tatyana Chernova was busted. But after three sets of quartets had been upgraded to gold silver and bronze relay medals on Friday evening, the stadium announcer intoned, ‘Time to get ready for the sport’.